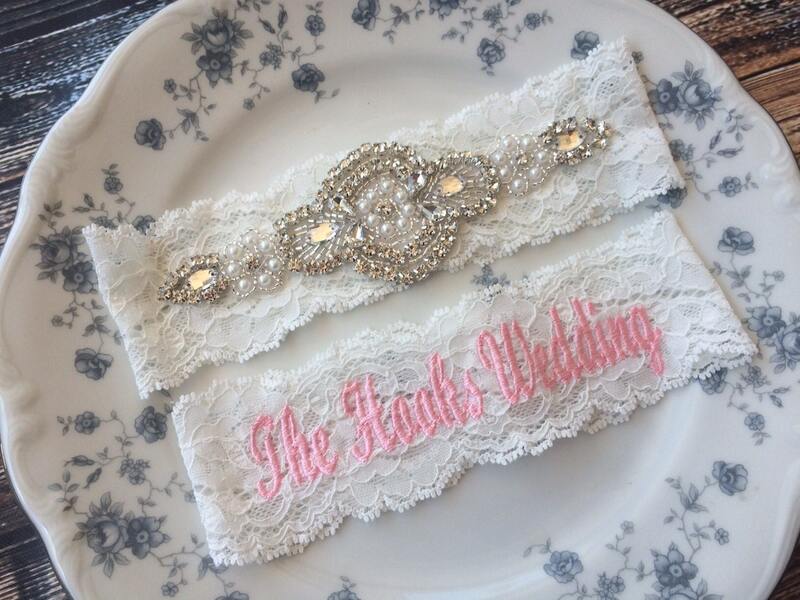 This listing is for one Pearl and Rhinestone beaded keepsake garter and a custom embroidered garter with "The " " Wedding". 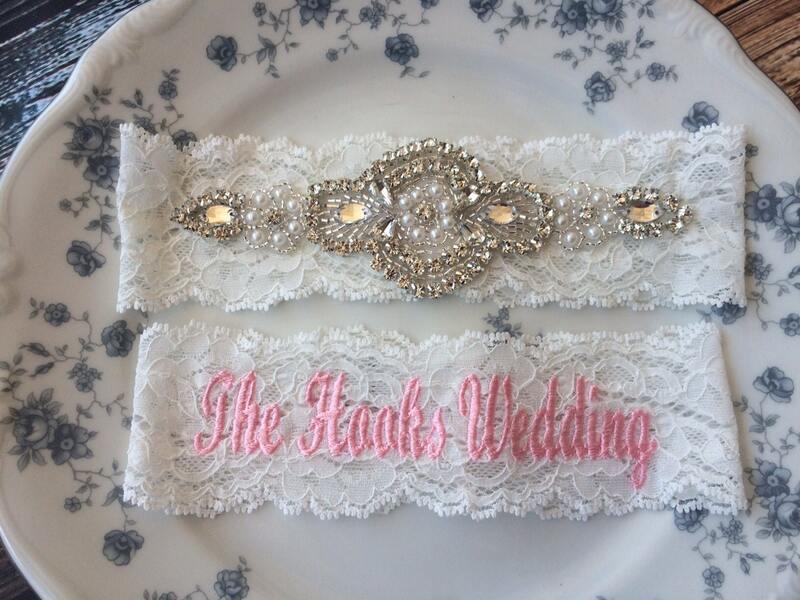 Just let us know at checkout in the note to seller section, what you would like your toss garter to say! These garters will be a memorable hand-me-down to a sister or daughter.